In a tragic incident, two workers were killed allegedly owing to asphyxiation caused by poisonous gases on Monday while cleaning a septic tank at Kharupetia in Darrang district. Locals said the incident took place, when two men—Saha Alom and Safikul Islam–who work as masons, stepped into a septic tank located at the residential campus of one Manik Saha of Tilapatti, Ward no-4 in Kharupetia town. 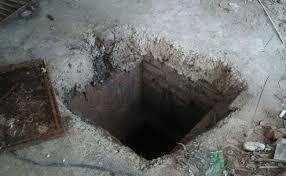 The workers were found in an unconscious state by Saha minutes after they entered into the septic tank. When the local residents reported the incident to police, a team of Kharupetia Police along with Fire and Emergency service staff members arrived at the spot and rescued the two workers. They were immediately rushed to Kharupetia Primary Health Centre and then to Mangaldai Civil Hospital, where they were declared brought dead.